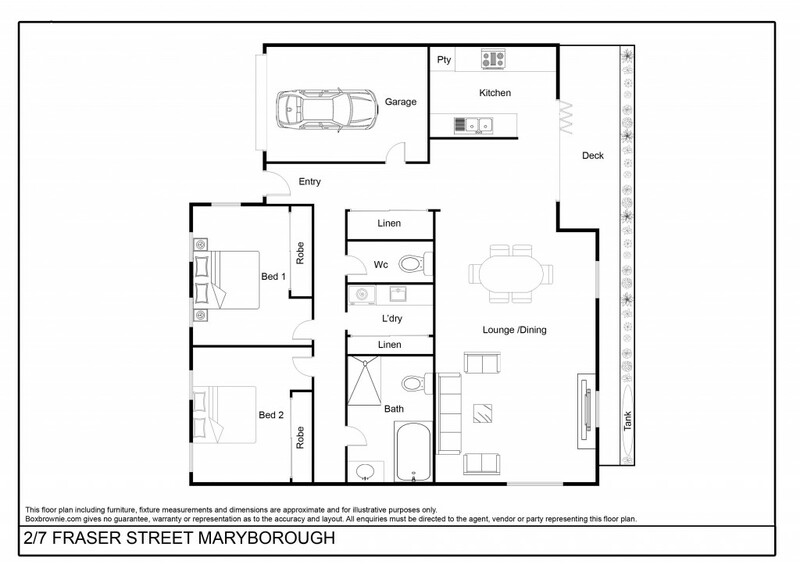 Well designed and built two bedroom modern design townhouse only a short distance from shopping and conveniences of Maryborough. Leased out for 12 months @$285 per week. Spacious bedroom with built in robes, full bathroom with deep freestanding bath, shower wc, and vanity. Separate 2nd toilet and laundry with generous storage. The main zone of lounge, dining and kitchen is light filled and private aspect, space for the entertainer. The home has a central heating and cooling split system unit, and flyscreen's throughout to let in fresh air. Bi fold doors from kitchen to outdoor decking area for relaxing and having a morning coffee. Direct access from single auto door garage to inside. So if you are looking for a low maintenance investment property call to discuss.